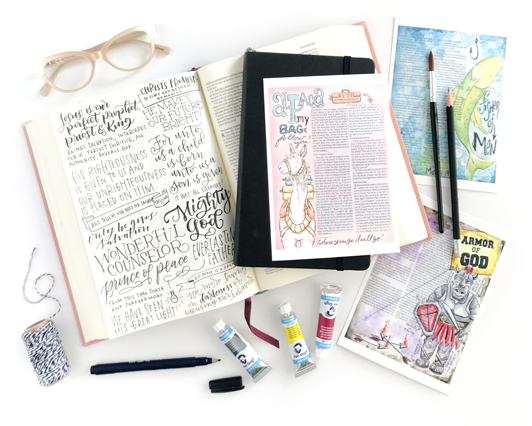 SIGN UP FOR THE SCRIPTURE CREATIVE COURSE HERE! 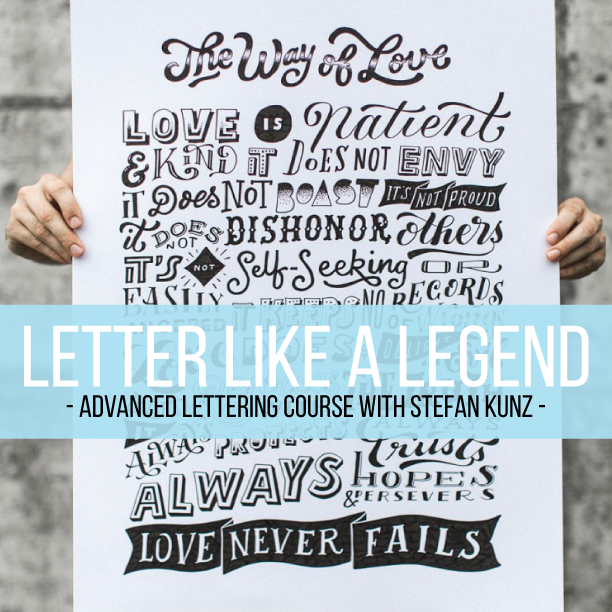 If telling you that the amazing Stefan Kunz is the one teaching this isn't the enough to get you signing up right away, then you obviously haven't seen the lettering he does. So, stop reading right now and check out his Instagram account @stefankunz. Now you're back and you know how amazing he is. And he's here to share his alphabets with you. How to create them, how to pair them and how to combine them to make a solid stunning piece that's a serious show-stopper. This is your course is you can brush-letter up a storm but want more. Stefan will take you past brush lettering into the more linear styles of lettering that makes his work stand out from anyone else's. You'll learn so many styles that you'll be laughing. CLICK HERE TO SIGN UP FOR THE LETTER LIKE A LEGEND ONLINE LETTERING COURSE! 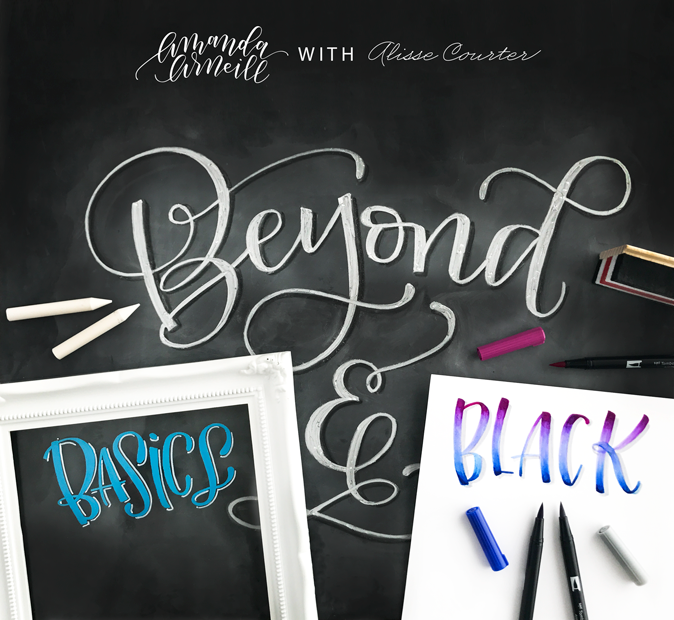 Let's take your lettering even further by taking you off of the basic pen and paper and moving you to different surfaces and pop-off-the-page colors. I constantly get asked how I letter on different items so that they last, look the way that the do, don't bleed and allow me to create pieces that allow me to escape from the paper jail. Learn all of my tricks and techniques for window lettering, writing on canvas or wood, and chalk art to take you beyond chalk basics to chalkboards you can ship without worry and digital manipulation of your chalk art on the iPad. 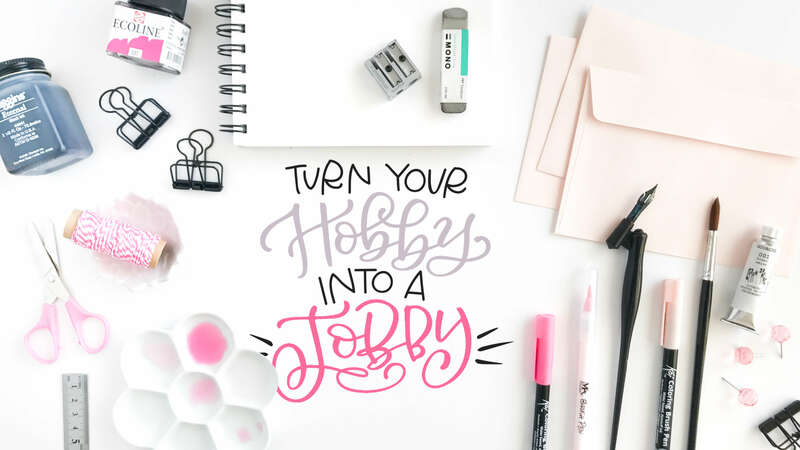 CLICK HERE TO FIND OUT MORE ABOUT HOBBY TO JOBBY!